Streamers on both ends lend a great effect! Plastic. 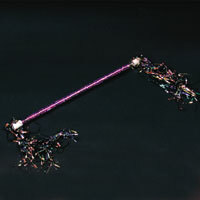 20 inch streamer batons. $8.35 per dozen for 15 dozen or more. $7.20 per dozen for 30 dozen or more.